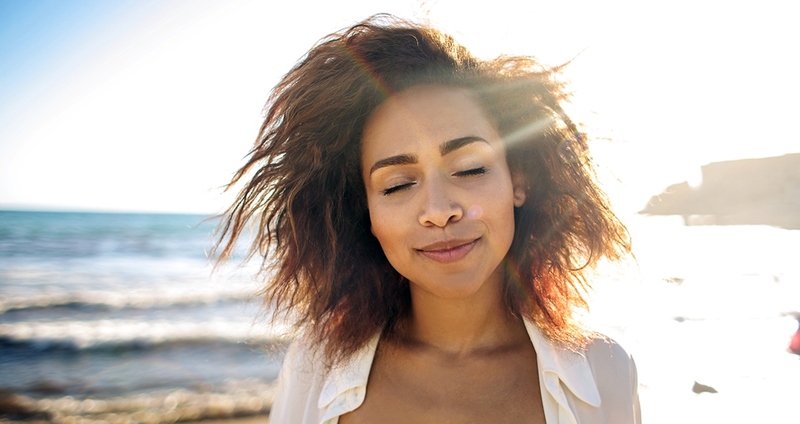 Most of us think of breathing techniques as solely a way to relax the body and calm the mind. But breath can also be used to boost energy and increase mental function—and it can all be done while you run errands. Unfortunately, during our days, most of us aren’t thinking about our breath. Granted, we are focused on more immediate tasks such as making meals, meeting deadlines and merging into traffic; but this inattention to our breath often gives rise to shallow breathing and the fatigue that comes with it. The good news is you quickly feel more alert and energized by boosting your volume of air and increasing awareness. “The inhalation is thought to be energizing, while the exhalation is thought to be calming,” says Marianne Tanner, a long-time yoga teacher in Portland, Oregon. “So, briefly retaining the breath at the top of an inhale, or doing a ratio-counted breath where the inhale is longer than the exhale, can be energizing.” Next time you’re feeling sluggish, try the exercise below. Note: If you have any medical conditions, are pregnant, or otherwise unsure of whether or not you should try this practice, please consult a doctor before doing so. Exhale to the count of two.